Do Checkpoint brand labels differ from imported brands, knockoffs, or other brands? If you are only interested in cheap valued Electronic Article Surveillance (E.A.S.) labels then you may want to skip over this particular F.A.Q. page. If you are in the market for labels that are made by the highest quality label manufacturer worldwide, then Checkpoint labels are the only alternative. The differences between Checkpoint labels and knockoff or other brands of labels are extensive! One of the main differences of the Checkpoint system labels and other labels is that the detection capability is greatly enhanced compared to any other brand. In addition to this, the frequency that they are designed for is exact. In conjunction with everything else, Checkpoint’s label adhesive is a very aggressive bonding agent. Once the adhesive fully dries after about an hour after it is applied to merchandise, it is nearly impossible to remove from the item. Unlike other brands, Checkpoint system labels do not dry up, fall off, or peel off once they are on merchandise for an extended period of time. In studies performed by an independent company, Checkpoint’s labels were far more superior to any other brands in deactivation. Once Checkpoint labels are deactivated in-store after a purchase, they do not reactivate prior to a customer leaving the store. Typically, reactivated labels cause your E.A.S. system to alarm which can cause an embarrassing and time-consuming encounter with your customer. This same study found that 40% of other brand labels will reactivate prior to a customer reaching the door of the store. Checkpoint always includes at least 2000 good labels on a roll of labels. In fact, it is actually a larger number than that. Because Checkpoint is conscience of the fact that usually less than 1% of their labels could be faulty during the Quality Control process, the failed labels will be marked with a red dot. To compensate for the faulty labels, Checkpoint includes an additional 4% of labels. In reality, the retailer gets more labels than what they paid for. Checkpoint systems in the enhanced performance (E.P.) labels are much more sensitive than Checkpoint’s classic line of labels. For example a 410 label in the classic line is the standard label used in the industry. However, the 710 in an E.P. label has been tested to not be as sensitive as a standard 410 label. Additionally, all Checkpoint enhanced performance labels are thermal transfer (T.T.) ready, which allows them to be run through a printer to print a barcode, your logo, product information, and much more. If you are interested in acquiring the Checkpoint’s quality line of labels, contact us for a sample pack. We will be happy to send you one free of charge! Loss Prevented Systems, Inc. is considered the top national seller around the United States for Alpha High Theft products and Checkpoint solutions. We have got countrywide sales, equipment, and service. LPSI delivers more than retail loss prevention products. The expertise in retail store loss prevention permits Loss Prevention Systems to deliver valuable education and strategies. 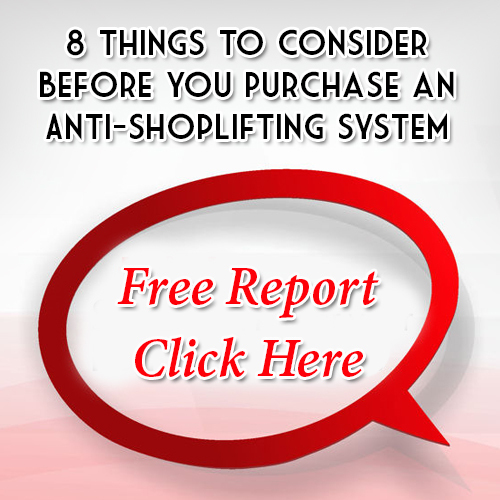 Stop shoplifting NOW with LPSI (Loss Prevention Systems), Checkpoint, & Alpha Systems products. For more information on Checkpoint Labels, visit our website at http://www.LossPreventionSystems.com or give us a call at 1 (866) 914-2567.